Drink driving in the UK is an offence that can get you imprisoned. In fact, a minor case in drink driving can have your license revoked. In such a case, the court may have you banned from driving for up to a year. If you have been charged with drink driving, have a solicitor represent you to avoid hefty penalties and imprisonment. Upon conviction, you may face an obligatory, which is definite or a possible discretionary disqualification, depending on the committed offence. Once you plead guilty, you get a fine and a 12 or more month’s disqualification. For instance, if you were caught driving while exceeding the maximum legal alcohol limit, you get a mandatory disqualification of 12 months. If the disqualification is not imposed, your driving license gets 10 penalty points. Even when you have to plead guilty, a drink-driving solicitor can help you reduce disqualification by months. It means you get back to normal daily business quickly. Other penalties may include community orders, fines, compensation, court costs and prison sentence. A professional solicitor can be your full representative by speaking on your behalf. Solicitors have court experience and know what to say and what not to say. Remember, you only have one chance in court, and messing it up can lead to dire consequences. Depending on the level of alcohol in your system at the time of arrest, you could be classified as a high-risk offender. As such, you will be required to drive upon the expiry of your disqualification. This is where a highly qualified and experienced drink driving solicitor comes handy. 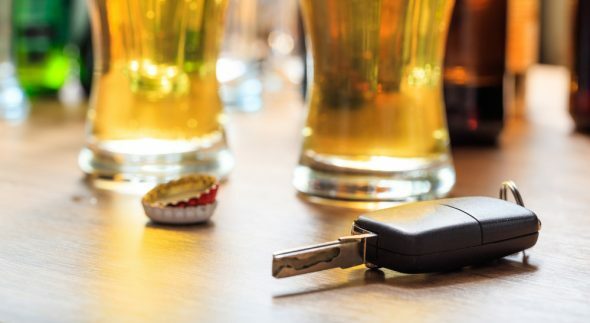 With a professional’s ability to argue your case in detail, the court could allow you to retain your license even with a drink driving offence. If a police officer stops you and suspects that you are driving over the drinking limit, he or she will carry out a breathalyser test. The current legal limit stands at 35 micrograms in 100 millilitres of breath. Further tests may be carried out on your blood (80 milligrams of alcohol in 100 millilitres of blood) and urine (107 milligrams of alcohol in 100 millilitres of urine). If found to be above the limit, you get charged in court. The process from the moment of your arrest to a court charge is also very complex. Being found guilty of such charges could have you serve 3 months-14 years imprisonment and the payment of a fine of up to 2,500 Euros or an unlimited amount. What’s more, your car insurance may become significantly costly and you could experience problems travelling to countries like the USA. A professional solicitor will also give you a guide to the whole process. Expert advice on the UK laws is imperative as this could save you from being disqualified from driving. The lawyer will tell you what to say in court. Drink driving law alone is very complicated. As a result of the potential severity of imposed sentences, you will need the assistance of a legal expert; one who is experienced in drink driving laws in the UK.